VeraMate uses the tried and tested voice detection software of Dragon Naturally speaking. With this, you can use natural language to ask VeraMate to, turn on a light, open a door, or more. 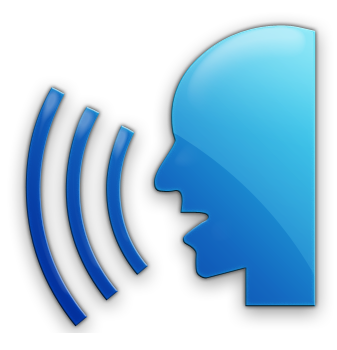 Also featured in VeraMate is voice synthesis algorithms which let VeraMate talk back to you. This will let VeraMate confirm what it's doing by using speech. Activation Key: The first part is what you wish to do. Please try using such keywords as "on", "off", "activate", "run", "close", "open". Device/Scene Key: The second part is matching up with what you wish to change. This will simply be the name of your scene or device. That's it. Give it a go and try turning on one of your lights: "turn on ". NB: For premium users, voice control can be activated at all time rather then pressing the special "voice control" button. When this is enabled, we recommend also enabling the "use activation code". This will detect a special phrase, by default "hey siri", which must be said before the command is carried out. This is to prevent accidentally triggering a device in background communication. VeraMate now is able to DIM lights, and set curtains/window coverings to specific levels. Use the keyword "percentage". Example: "Turn on Kitchen light to 50%"
The accent features heavily in how the voice is detected. By default this is "American", but you can change this to British, Australian, or Indian accents via the settings. VeraMate matches the name of the device as spoken, with what is in your list. This then requires that your spelling is correct. If something is not being triggered, try checking the spelling VeraMate detects, and change your device appropriately.